Do you believe in love at first sight? Can it happen? More importantly, can it last over the long haul of the ups and downs of a relationship? Throw in a few obstacles from the very first meeting of the hero/heroine, and the relationship becomes even more intriguing. 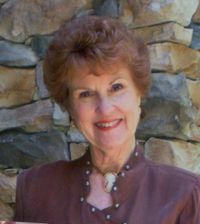 In my novella, EVERY GIRL’S DREAM, the opening story from A WESTERN SAGA (Victory Tales Press), that’s just what happens. Sheena McTavish, a young Irish girl, has been raped by the son of her father’s employer. Now, with a baby on the way, Sheena is given an unthinkable choice: give her baby to the father’s wealthy family to raise, or travel to New Mexico Territory by stagecoach to live with her aunt and uncle until her child is born. At that point, she will have to place it in a nearby orphanage. Desperate to buy some time and protect her baby from its father, she chooses to travel west. Alone and afraid, she starts on the journey that will change her life forever. Before Sheena’s stage leaves, she meets handsome Army scout Callen Chandler. The attraction is there, even under difficult conditions. As the story progresses, Sheena must learn to trust again, and Cal begins to realize he doesn’t have to live the solitary existence he’s endured up to now. Being half Comanche has left him with no place in either world—white or Indian. When Sheena comes along, everything changes…for both of them. I’ll leave you with an excerpt of EVERY GIRL’S DREAM. Cal felt…something. His back tingled as he waited for the stinging burn of a shale arrowhead. He risked a glance backward, and saw the Kiowa leader’s stare heavy upon him. “I know, sweetheart. We won’t ride hard any longer’n we have to. Lowell’s Ridge is only about four miles away.” A very long four miles. He smiled at that. There was a small amount of disbelief in her tone, overshadowed by a huge amount of wonder. Who wouldn’t come for her? “You could be killed because of me,” she said softly, as if she had only just realized it. She laid her hand over his, and in that moment, he wondered if dying for her would be worth the twenty-seven years he’d lived so far. His heart jumped at her touch, then steadied. But as he risked another glance back, he saw exactly what he’d feared. Two of the braves were mounting up, and they weren’t riding the opposite way. “That still might happen,” he murmured. He leaned forward, trying to protect Sheena with his body as he slapped the reins against the horse’s side, urging him into a lope, then a full-out run. The Kiowas were close behind them. There must have been dissension among them. The leader had seemed content to let him take Sheena and ride away. One of the others must have disagreed with that decision. Cal reached to pull his revolver from his holster. They were strangely quiet, he thought. The first bullet cracked from behind them, and Cal reflexively bent lower. The bullet whined past his ear like an angry bee. Sheena gasped. He fired off a shot and got lucky. One of the warriors screamed in agony and fell from his saddle. But the other rode low, hanging onto the side of his mount. And he kept right on coming. The next bullet sang over Cal’s head. He concentrated on eating up the miles to Lowell’s Ridge. Riding double was slowing them down considerably. Sheena’s body was tense beneath the shelter of his own. Fragile, but strong. Delicate, but determined. His hand splayed over her stomach, holding her close, cradling her from the jarring of their wild ride. A whoop from behind them accompanied the crack of a rifle, and this time, the Kiowa warrior’s bullet found its mark. A bolt of fire seared through Cal’s right shoulder, and for a minute, the pain was so strong he almost sawed back on the reins. But at his harsh curse, Sheena glanced up at him, her hand instantly clamping tightly over his. The reins were still wrapped in his fingers, but Sheena kept her hand on his, reminding him to let the horse have his head and continue their flight for freedom. The pain was so breathtaking he could do nothing but nod his understanding. “Dammit!” she cursed. That almost made him smile, but the agony in his shoulder surged up and stole his breath again as the horse’s hooves pounded the ground below. The road was not much more than a trail, and where it narrowed, branches reached out to scrape and snarl in hair and clothing, scratching their faces as they blindly rode toward safety. As they broke through the brambles and low limbs into the clearing on the other side of the wooded section of road, Cal glimpsed the steeple of the church, then in a moment, the rooftops of houses. Do you believe in love at first sight? Got personal experience? Let's hear it! Who is your favorite western author? Has a western author influenced you? Louis L’Amour had a tremendous impact on my love of the west. In a speech at an RWA conference not many years long before he died, he said he "could write in the median of Hollywood and Vine while sitting in a folding chair with a typewriter balanced on his knees." Wow, what concentration! No wonder Louis L’Amour is called "America’s Storyteller." 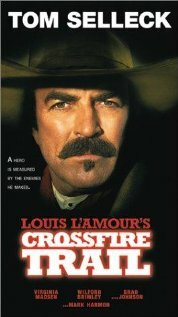 Allegedly Louis L’Amour preferred Sam Ross and Tom Selleck play his western heroes. Certainly both have become synonymous with his work. 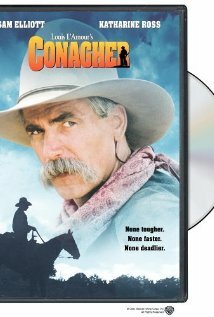 "Conagher" is one of my favorite movies, and "Crossfire Trail" is another, although I hated that Mark Harmon played a bad guy. 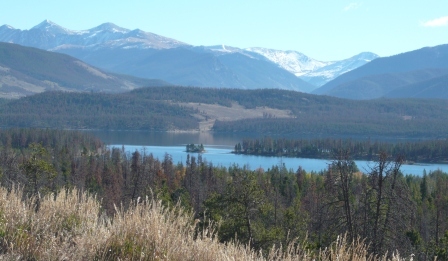 The man who would become Louis L'Amour grew up in the fading days of the American frontier. 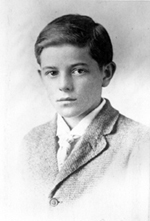 He was born Louis Dearborn LaMoore on March 22, 1908, the last of seven children in the family of Dr. Louis Charles LaMoore and Emily Dearborn LaMoore. His home, for the first fifteen years of his life, was Jamestown, North Dakota where Doctor LaMoore was a large animal veterinarian. 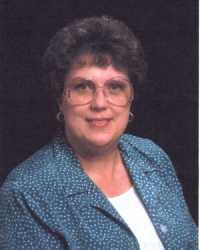 Dr. LaMoore changed the spelling of the family surname to L’Amour. When Louis was very young his grandfather, Abraham Truman Dearborn, came to live in a little house just in back of the LaMoore's. He told Louis of the great battles in history and of his own experiences as a soldier in both the civil and Indian wars. Two of Louis' uncles had worked on ranches for many years, one as a manager and the other as an itinerate cowboy. It was in the company of men such as these that Louis was first exposed to the history and adventure of the American Frontier. Jamestown, North Dakota had provided Louis with an idyllic childhood but hard times finally uprooted the family and set them on a course that would forever alter Louis' life. After a series of bank failures ruined the economy of the upper Midwest, Dr. LaMoore, his wife Emily, and their sons Louis and John took their fortunes on the road. They traveled across the country in an often-desperate seven-year odyssey. During this time Louis skinned cattle in west Texas, baled hay in the Pecos valley of New Mexico, worked in the mines of Arizona, California, and Nevada, and in the saw mills and lumber yards of Oregon and Washington. 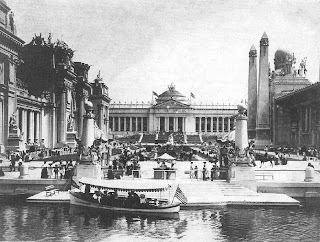 It was in these various places and while working odd jobs that young Louis met the wide variety of characters that would later become the inspiration for his writing. In Oklahoma they were men like Bill Tilghman, once the marshal of Dodge City; Chris Madsen who had been a Deputy U.S. Marshall and a Sargent with the 5th cavalry; and Emmett Dalton of the notorious Dalton Gang. In New Mexico he met George Coe and Deluvina Maxwell who had both known Billy the Kid; Tom Pickett who'd had a thumb shot off in the Lincoln County War; Tom Threepersons who had been both a Northwest Mounted Policeman and a Texas Ranger; and Elfagio Baca, a famous New Mexico lawyer who had once engaged over eighty of Tom Slaughter's cowboys for 33 hours in one of the west's most famous gunfights. During his years in Arizona Louis met Jeff Milton, a Texas Ranger and Border Patrolman and Jim Roberts, the last survivor of the Tonto Basin War and later Marshall of Jerome. But perhaps most importantly, during the years he was traveling around the country, young Louis met hundreds of men and women who, though unknown historically, were equally important as examples of what the people of the nineteenth century were like. In the years after leaving Jamestown Louis had a sporadic career as a professional boxer. Having been well taught by his father and older brothers, Louis made extra money from an occasional prizefight and, in the year just after his family left Jamestown, he often fought in the ring for the money to buy gas so that they could move on. On more than one occasion a run of luck allowed him to box full time. Over the years he spent time in dim gymnasiums in cities all across the west, first as a boxer, then as second and finally as a trainer, seeing the world of fighters, managers, gangsters and gamblers first hand. Louis ended his fighting career by coaching several successful Golden Gloves teams; the first few in Oklahoma, the last, an army team that went to the Tournament of Champions in Chicago. Louis freely drew from this experience for many of the boxing stories in the collections HILLS OF HOMICIDE, BEYOND THE GREAT SNOW MOUNTAINS and OFF THE MANGROVE COAST. On his own, Louis hoboed across the country, hopping freight trains with men who had been riding the rails for half a century. He wrapped newspaper under his clothes to keep warm while sleeping in hobo jungles, grain bins and the gaps in piles of lumber. He spent three months "on the beach," in San Pedro, California and circled the globe as a merchant seaman, visiting England, Japan, China, Borneo, the Dutch East Indies, Arabia, Egypt, and Panama with the rough and ready crews of various steamships on which he served. In later years he wrote stories about these times, his own experiences and those of people he had known. Many of these stories are now published in the collection YONDERING and there are two more in OFF THE MANGROVE COAST. Fiction based on Louis' travels in the Far East can be found in "WEST FROM SINGAPORE, NIGHT OVER THE SOLOMONS, BEYOND THE GREAT SNOW MOUNTAINS, and OFF THE MANGROVE COAST. Traveling around the country and working in various remote locations gave Louis an intimate first-hand knowledge of the territory and landscape where the majority of his stories would be set. He spent time hiking around or traveling through what would later be the settings for SACKETT in the San Juan Mountains of Colorado, BENDIGO SHAFTER in the South Pass area of Wyoming, SHALAKO in the boot heel of New Mexico, SON OF A WANTED MAN in the Utah Canyon Lands, TAGGART in central Arizona, Mojave Crossing in the California desert and Los Angeles, THE MAN CALLED NOON in central New Mexico and Southern Colorado, PASSIN’ THROUGH in Southwest Colorado, FALLON in Northern Nevada, MUSTANG MAN in Northeast New Mexico, NORTH TO THE RAILS in New Mexico, Texas and Kansas, and THE EMPTY LAND in Northern Utah. Though he left school in the 10th grade Louis had a thirst for knowledge. Throughout his life Louis haunted libraries and bookstores across the country and all over the world. Often he went without meals in order to afford to buy books. He sometimes worked long and hard so that he could quit working temporarily and afford to study full time. Louis liked to brag that from 1928 until 1942 he read more than 150 non-fiction books a year and that in order to do it he worked miserable jobs and lived in skid row hotels and campgrounds. After several years in the Pacific Northwest, Louis' parents moved to a little farm that their eldest son, Parker, had purchased in Oklahoma. John had left Oregon a year before and had not been heard from since and so it was just the three of them who traveled across Idaho, Wyoming, Nebraska and Kansas to settle on the acreage outside Choctaw. They had a house, animals, occasional crops, and their lives returned to normal. They lived in a community in which they were not viewed as vagabonds. Slowly the LaMoore family began to put down roots. Louis always wanted to be a writer but in his early days he thought that his writing would take the form of poetry. For years he struggled to learn this craft without much guidance except his own intellect. Eventually, he broke out into a number of little magazines and began placing poems regularly. 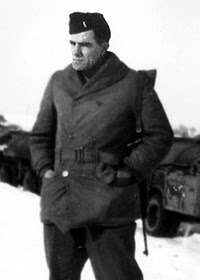 The name Louis L'Amour was seen in public for the first time. Poetry, however, didn't pay very well. In fact, it didn't pay at all. He tried writing short stories that drew on his life experience, sending them to collage journals or literary magazines. This was not the answer to earning a living as a writer either. Finally, he sold a short story called "Anything for a Pal" to a pulp magazine called TRUE GANG LIFE. He made less than eight dollars but he took it as a sign and committed his attention to writing for the pulps. The hoped for breakthrough took almost two years to come. In 1937 he sold a short story called "Gloves for a Tiger" to THRILLING ADVENTURES MAGAZINE and, this time, other sales followed quickly. Although he wrote in several genres, including a rare western or two, Louis' most financially successful stories were the adventure tales he wrote about the captain of a tramp freighter and his crew. Ponga Jim Mayo, Louis' fictional character, was a merchant captain whose tendency to find trouble had drawn the attention of a British Intelligence officer. Together, Mayo and Major Arnold kept agents of the Axis powers off balance in the years leading up to WWII. Ultimately, Louis did place some material with literary magazines "The Admiral" was published in STORY, one of the most prestigious periodicals of it's day; "It's Your Move", "Survival," and "Glorious! Glorious!" were published in TANAGER; and "Dead End Drift" and "Old Doc Yak" were published in the NEW MEXICO QUARTERLY. His poetry, originally seen in many anthologies and magazines, was self-published in a collection called, SMOKE FROM THIS ALTAR. Louis was inducted into the US army late in the summer of 1942. After boot camp he went to Officer's Candidate School and then Tank Destroyer School. By the time he was eligible to join a TD outfit he was ordered to change assignments because with his 35th birthday just over six months away he would be too old to join a combat unit. He joined the Transportation Corps and was sent to England and then on to Europe with a trucking company. As a second Lt. he commanded a platoon of gas tankers that supplied planes and tanks all through the fighting in France and Germany. Before he returned home he was promoted to 1st Lt. and was briefly a company commander. While in Europe he gathered the background that he later used in his stories about that area. He visited many of the locations that appear in "Meeting in Falmouth" (collected in BEYOND THE GREAT SNOW MOUNTAINS), THE WALKING DRUM, SACKETT’S LAND, and TO THE FAR BLUE MOUNTAINS. He met the people who were models for the characters in A Friend of the General (collected in YONDERING), REILLY’S LUCK, KIOWA TRAIL and The Cross and the Candle (collected in OFF THE MANGROVE COAST). After his discharge Louis returned to the U.S. only to find that the market for his Adventure stories had nearly disappeared. Now editors were asking for Mysteries and Westerns. Because of Louis' background, an old friend in the publishing business pushed him in the direction of Westerns. Following his friend's advice, Louis L'Amour moved to Los Angeles, a city he knew well from his sea-faring and boxing days, settled into a small room in the back of another family's large apartment and began to write. For the first couple of years he sat on the bed and worked with his typewriter sitting on a folding chair. Compared to his Oklahoma days his output was enormous. In one year he sold almost a story a week and wrote even more than that. The pulps had never paid very well and that situation had not changed much. Louis' average take on a short story was less than $100. By the early 1950s, pressured by radio, TV, and the paperback book, the pulp magazines, which had published a majority of the fiction in the United States, began to go out of business. Many writers, Louis included, found it harder and harder to sell their stories. Like others Louis tried many different markets. He sold "Westward the Tide" to a British publisher. Four Hopalong Cassidy novels went to a short lived magazine based on Clarence Mulhford's character, and "The Gift of Cochise," "Get out of Town," "Booty for a Badman," "THE BURNING HILLS," and "WAR PARTY," to what were called the "slick" magazines like COLLIERS and THE SATURDAY EVENING POST. 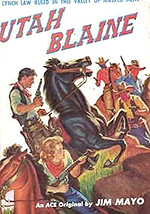 Louis had already sold several novels (WESTWARD THE TIDE, his four Hopalong Cassidy stories, CROSSFIRE TRAIL, UTAH BLAINE, and SILVER CANYON) to paperback publishers when "Hondo," a film made from his short story "Gift of Cochise" (collected in WAR PARTY) hit the silver screen. Also prior to the release of "Hondo," he had sold several other projects for movies and TV. In 1951 a couple of episodes of Cowboy G-Men were made from his treatments and he sold a series pilot called "One Night Stand" (collected in THE STRONG SHALL LIVE) to Bing Crosby. He also sold a story to Fireside Theater and the treatment for the feature EAST OF SUMATRA to Universal International. But it was the success of "Hondo" that gave Louis' career a much-needed boost. 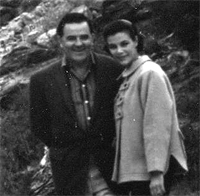 In 1956 Louis L'Amour married Katherine Elizabeth Adams, an aspiring actress. The daughter of a resort developer and silent movie star, Kathy had grown up in the deserts and mountains of Southern California where her father had once owned vast tracts of land. Together Katherine and Louis traveled all over the west searching out locations and doing research for Louis' books. In 1961 their son Beau was born and in 1964 they had a daughter, Angelique. The1960s were a productive time for Louis. He developed his famous Sackett family series, traveled extensively to promote books and movies, and, for the first time in his life, bought a house. He was often invited to speak at public forums and held book signings for large crowds all across the country. And he finally settled down to work with a single publisher, Bantam Books. After six years (1953 -1959) of going back and forth between Fawcett/Gold Medal, Ace and Bantam, Louis was looking to find a publisher who would bring out more than two of his books per year. His editor at Gold Medal lobbied to let him write more but management refused even though he was placing books with competing publishers. L’Amour had sold 14 novels, 9 motion pictures, and several million paperback copies before Bantam Editor in Chief Saul David was finally able to convince his company to offer Louis an exclusive contract that would expand to three books a year. It was only after 1960, however, that Louis’s sales at Bantam began to surpass his sales at Gold Medal. A book contract with Bantam to keep himself motivated and on a deadline. Louis expanded the Sackett family series to include the family's beginnings on the American continent and also began the process of weaving in tales of the Chantry and Talon clans too. The vision of a large matrix of fiction interwoven with the history of the United States and Canada began to appear in his work. 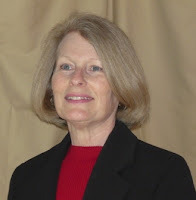 Plans, many that did not come to fruition for another ten years, for writing historical fiction (like THE WALKING DRUM, a story written in the1960s but not sold until the mid '80s.) and even science or fantasy fiction (THE HAUNTED MESA) were carefully made. By 1973 his new found wealth allowed Louis to move into a better neighborhood in West Los Angeles. Louis felt independent and secure for the first time in his adult life. He was sixty-five years old. Success is never without its detractors, unfortunately. Even before the height of his success in the 1980s, jealousy caused controversy among other writers of westerns. A rumor was circulated that somehow Louis was a creation of his publisher, Bantam Books, and that they told him what to write and then gave him preferential treatment over other writers when it came to money and advertising. In truth, Louis wrote in a manner that was very much like stream of consciousness and it was nearly impossible for him to plan what was going to happen in one of his books let alone take direction from someone else. Even in the early 1970s, Bantam Books was still lagging in the area of public relations, it took a publicity trip to England and the exemplary efforts of L’Amour’s British publisher Corgi, to focus their attention on what could be done. For the most part the publicity effort that defined Louis’s career until the mid ‘70s was the work he did on his own, learned through hard experience promoting both boxers and his own book of poetry in the 1930s. Publishers then, as now, spent next to nothing unless they absolutely had to. The hard feelings seem to have culminated with the story that Bantam required independent distributors to buy titles in lots of 10,000 copies if they wanted access to other Bantam titles at wholesale prices, and that they kept all of L’Amour’s books in print at all times … thus forcing other authors off the racks in the Western sections of bookstores. "There were occasionally additional price incentives offered to distributors who sold certain amounts of the entire Bantam catalogue," George Fisher, who worked at Ludington News in Detroit, the number two independent distributor in the country, remembers. "But selling Louis was often the way that a distributor could meet their quotas, because he was so popular. Louis wasn’t a problem for us, he was a solution." The problem seemed to be one of jealousy and misinterpretation, writers with fewer titles and less popular books could get squeezed where shelf space was limited. But no publisher could afford to keep books in print that weren’t selling, the book stores would simply return them for a refund. Whatever the effect, Louis L’Amour was not the beneficiary of any sort of special, and exclusive, distribution policy. In addition to pleasing millions of fans, Louis won the Western Writers of America's Golden Spur Award for DOWN THE LONG HILLS, North Dakota's Theodore Roosevelt Rough Rider Award, his novels HONDO and FLINT are voted places in the 25 best Western Novels of all time. 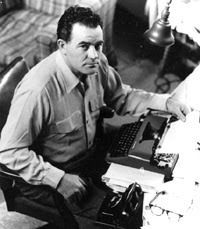 Five years after out selling John Steinbeck's total of 41,300,000 copies (a Bantam record) Louis L'Amour sold his one hundred millionth book and had won the Western Writer's of America's Golden Saddleman Award. Louis' books have been translated into over fifteen foreign languages and are sold in English in almost a dozen countries. The summer of 1987 Louis caught pneumonia. In a few weeks he threw it off and was seemingly healthy until late fall, when he caught it again. The first round of tests showed nothing but ultimately a needle biopsy caught malignant cancer cells. Going back through the x-rays, doctors discovered a thin veil of cancerous material running throughout his lungs. Because the cancer was not localized in any one spot, surgery was not possible. He began his long postponed memoir, EDUCATION OF A WANDERING MAN. As the disease progressed Louis moved his work from his office to a desk in an upstairs bedroom and ultimately into the master bedroom. He was editing the book the afternoon that he died. A few days before he passed away Louis was notified that sales of his books had topped two hundred million. 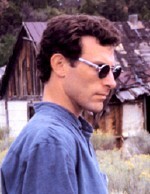 He died doing what he loved, writing a book at his ranch in Hesperus, Colorado. He acquired the ranch from a family local to the San Juan region. 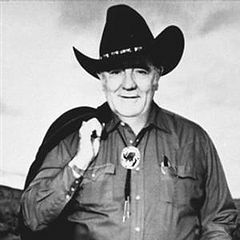 Since his death in June of 1988 Bantam Books has continued to release the work of Louis L'Amour. SMOKE FROM THIS ALTAR, his 1939 book of poetry, and a revised version of YONDERING, were released in the same year. Since then there have been re-releases of the four Hopalong Cassidy novels, and many books of his short stories, some containing material never before published. In the years since his death in 1988, over one hundred and twenty million copies of his books have been sold. None of Louis L’Amour’s Bantam titles have ever been out of print. Much more information on this remarkable man is available on his official website, http://www.louislamour.com/ and on Wikipedia. Additional information includes the audio productions of son Beau L’Amour and tributes by daughter Angelique L’Amour. "Knowledge is like money: to be of value it must circulate, and in circulating it can increase in quantity and, hopefully, in value." If you haven't read a Louis L'Amour novel, do yourself a favor and remedy that right away. You'll find your stress falling away as the pages come alive. After all, Louis L'Amour is America's Storyteller. Have you ever worked too hard for too long and awakened to a ditto day compounded with a bad case of “Don’t want to!”? That was me a short time ago. I had mimicked the methodical, responsible hero, David Graham, in my romantic suspense novel, Caught by a Clown, far too long. 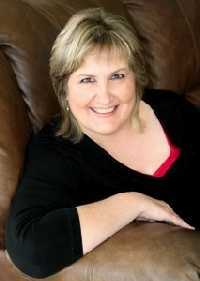 It was time to flip sides and exercise a bit of the book's heroine, spontaneous, fun-loving Stacie Monroe. I stepped outside my bedroom door, curled dew-drenched toes in long grass, battled the impulse to add mowing to my day’s work, and inhaled crisp fresh air. Freedom, relaxation lay a few feet away. I opted for a fresh adventure. Bottled water and lunch packed, I drove higher to an area I hadn’t explored yet. Late blooming wild flowers colored an inviting meadow. Bees buzzed busy, zigzag flights bloom to bloom, unmindful of my intrusion or the clackety-whirr of grasshoppers that enhanced their name with short aerial feats. Was each of these insects laboring through a Mother Nature imprinted TO DO list made all the more imperative by shorter days and cooler temps? This one flew in last year to see how I lived. 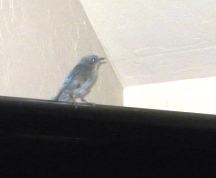 A Mountain Blue Bird flitted past. Wing feathers caught the sun’s rays in iridescent flashes that flicked my guilt at playing hookey. I pulled a deep breath and set my gaze and feet wandering the meadow. Bits of red scattered across the ground captured my attention. Strawberry vines criss-crossed dirt and stone. Their tough tangle tripped me as if to say, “Stop a minute. Enjoy my fruit. It’s tiny but flavorful.” Four legged critters had thinned the pea-sized morsels to a bare handful that I quickly discovered rivaled any plump farmed variety. Concepts of duty and responsibility dropped away as nature’s sweetness lingered on my tongue and sunshine warmed my face. I struck out across a thin track the meadow’s grazers had left behind. The chilly shelter of Ponderosa Pines foretold autumn’s shorter, cooler days. I explored the deep timber. 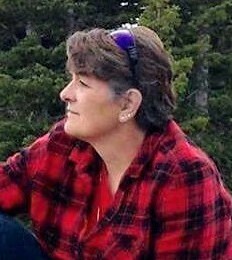 Scents of pine and loam thickened the air as I ducked branches and climbed over deadfalls. In a small clearing ahead, a golden glow graced the ground within a patch of sunshine. 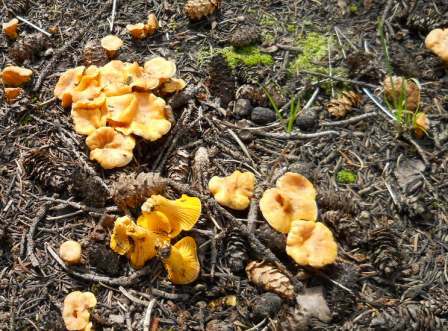 I’d stumbled onto a prize of Golden Chanterelle Mushrooms. Yum. Yum. This treasure was destined for a date with a sauté pan, butter, garlic and onion. I gathered the funnel shaped fungus, brushing pine needles and woody loam away from the smooth caps whose gill like ridges ran almost all the way down the stipes. High in Vitamins C & D as well as potassium, my treasure would turn into a healthy dinner. 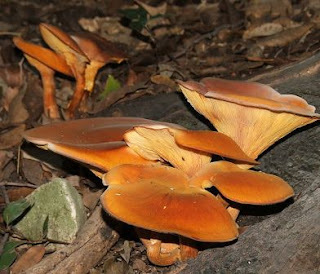 To be certain, I broke open a few to compare against the poisonous Jack-O’-Lantern, whose interior flesh is yellow-orange rather than the true Chanterelle’s white meat. I stored my find in my vest pockets and rinsed my hands in a nearby stream. The gliding water’s throaty murmur lured me along its path far from civilization. You can see from the shaky camera work that it was time to head back. Refreshed, relaxed, I returned home with the anticipation of the golden chanterelles titillating my taste buds. I hope the last few minutes have given you a bit of the peace I enjoyed that day. We all need a change of scenery or activity once in a while. That’s an underlying theme in my romantic suspense, Caught by a Clown, available in paperback and ebook at The Wild Rose Press, Amazon Books, Amazon Kindle and others. I hope you'll forgive me if it sounds like I'm bragging, but I can't help wanting to shout this from the rooftops. An excellent story with a spitfire heroine, a great hero and a wonderful, slightly humorous climax. Readers who enjoy a more traditional western with a strong romantic element will enjoy this. Summary: Hired gun Raz Colt wants to live quietly on his own ranch so he sets out to rescue kidnapped heiress Arden O'Hara and earn the reward. But Arden set up the kidnapping herself, hoping her fiance would ride to her rescue. She is not happy when Raz shows up, even when he kills a man she doesn't beleive was trying to kill her. While Raz drags her toward home it's clear that someone is sending hired guns after her. He struggles with his attraction to her, knowing they can't have a future. But Arden is slowly discovering that Raz is someone worth waiting for. First Line Winner in my blog contest: "Sorry you got shot, Cole. Damn, this is gonna mess up all our plans." 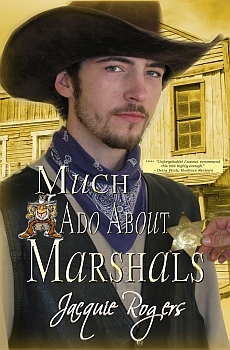 ...from Much Ado About Marshals. ...and now, our guest, Jacquie Rogers. Women have swooned over men in spurs since the early Etruscans and probably before that, too. Sure enough, today’s article is all about spurs. Writers don’t often describe spurs, but even so, it’s good to know the many different varieties, how spurs evolved, and why. Prong-style (a single point) spurs made of wood or bone have been found in Patagonia. Then we head over to the Etruscans—yes, it’s quite a trip—who first recorded the use of spurs, also prong but made of bronze. 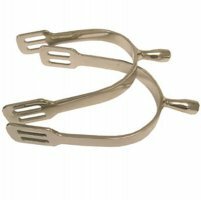 The Romans in Britain were generous enough to leave spurs for us to find, similar to the Etruscan spurs. ﻿﻿Nearly all spurs have a yoke that fits around the heel of the boot, and a shank extending from the middle of the top of the yoke (same as now) to which the prong was attached. Eventually, the prong evolved into a disk or a star, but was still solid. By the 1200s, rowels came into use. 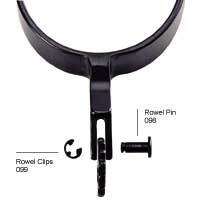 This is where the disk or star is mounted on a center pin at the end of the shank so the rowel can spin. Of course, nearly all of us know that the phrase, “earned his spurs” came from the knighting ceremony, and conversely, “losing his spurs” was punishment for a shameful deed. These terms are still used today, even by people who have never seen a spur for real. The Spaniards really loved their rowels, and created larger and fancier designs. The Conquistadors took their beloved spurs with them when they came to swipe gold from the Aztecs et al. You can see the influence of these spurs in Mexico and South America today—large rowels with ornate designs, and silver-plated engraved yokes. The leather straps holding the yoke on the boot were also intricately tooled. Colonial Americans used the same dinky spurs as the British used: no rowel at all, only a shank with a blunted tip. No doubt, George Washington and his men would’ve used this type of spur. Probably Andrew Jackson, too. These spurs aren’t particularly swoon-worthy. Or all that noticeable. However, when the pioneers migrated to Texas and the Mexican territory, incorporating Mexican methods of cattle herding with their own, the new cowhands took a liking to Mexican spurs as well. 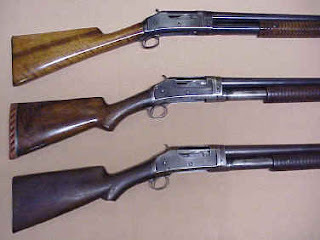 Spurs used today for western riding came from this style. Some are plain and some are very ornate. Those knowledgeable about spurs will know whether the cowhand came from the Great Plains, Texas, California, or Mexico by the style. 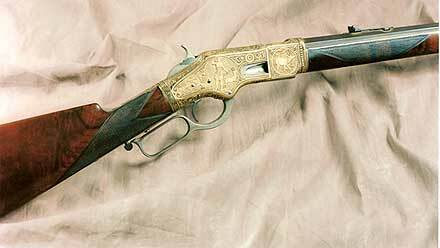 California spurs included a chaps guard—a blunt protuberance that proves protection for the chap from the rowel. Now we’ve upped the swoon factor considerably. 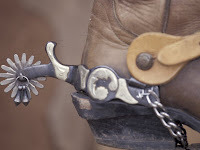 Most cowhands didn’t use jingle bobs except for town use or the show ring, and good grief, they sure wouldn’t use them to sneak up on a bad guy like the B-westerns show. I’ve only seen jingle bobs used at dances. Personally, I’ve never considered jingle bobs swoonable, but some heroines might think so, depending on who wore them. 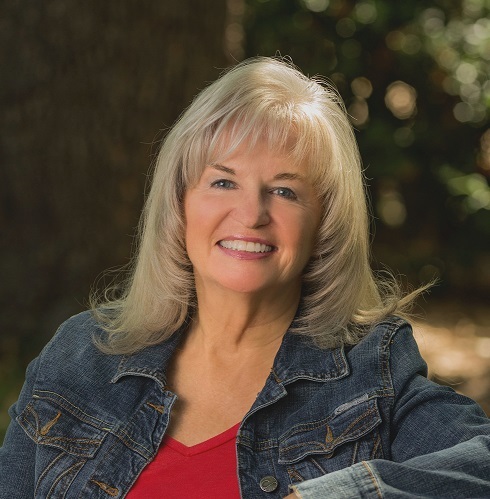 Jacquie Rogers grew up on a farm in southwest Idaho, milking cows, riding horses, hoeing beets, and all the other things that need to be done on a farm, creating experiences which have proved to be a rich source of story fodder. Now she lives in Washington State with her husband. The only animal she herds these days is her cat, Annie. And no, Annie doesn’t cooperate all that well, but better than Jacquie’s 3-year-old grandson. 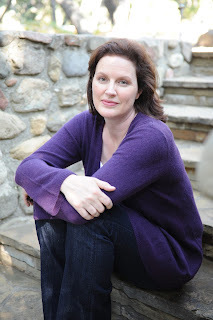 Her first ambition was to be a baseball announcer, but that didn’t work out so by age eight she decided to be a foreign correspondent because they get to go to exotic places (never thinking about writing as part of the job). Having children took care of that dream, so she ended up doing all sorts of other jobs before she took up the keyboard. 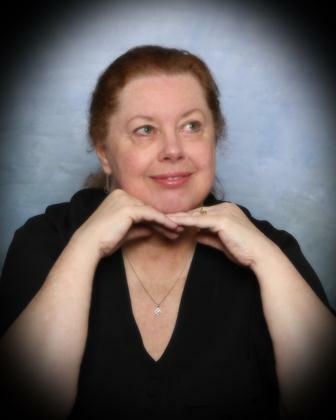 Daisy Gardner wants to be a detective just like dime novel heroine Honey Beaulieu. To her delight, her sister shot a bank robbery and he got away, so now she even has a crime to solve. But her parents insist she marry a man whose farm is miles from town. She can't solve crimes stuck out there. What better solution than to marry the new marshal! "Yes, he's definitely the one." Her sweet tone belied her accusation. Most robbery victims wouldn't be so cheerful. Was he in jail? The aroma of sagebrush and alkali had been replaced by tincture of iodine, so he could be in the doctor's office. Cole's hopes sank at the lady's certainty. While he'd never had a doubt he and Bosco would be caught, he'd hoped to make it back to the ranch to set things right. And the lady didn't have to sound so damned happy about it. "You're sure about that?" a man's voice asked. "Well, Doc, he's tall, so he matches the six-foot-two height, he has dark brown hair, brown eyes, and he's wounded on the right leg just like the wire said." Cole hoped that at least Bosco had made it to the ranch. He was goodhearted, a loyal friend, but not all that quick on the draw. "Yes," the lady continued, "he's our new marshal, all right." New marshal? Hell, he was wanted for bank robbery! This didn't seem exactly the right time to mention it, though. "Good," the man named Doc responded, "then I'll bill the city for his care. The wife will be happy to hear I finally have a cash customer." "You don't have a wife." The doctor chuckled. "No, Miss Daisy, but I'd sure like you to change that." "Not a chance," she teased. They both laughed, but Cole knew how the doctor really felt. Some men were born to be alone. A cool cloth smelling of borax mopped his forehead. He forced his eyes to open. He blinked a couple of times and focused on a beautiful woman, her brow wrinkled with concern. "Come here, Doc," she said with quiet enthusiasm. "He's awake." Cole heard water pouring as he stared at the lady who belonged to the sunny voice. Her green-eyed gaze bathed him with compassion and reminded him of sunset on Sinker Creek, where the rays glanced off the rapids, and the rippling of the water made a man's heart feel pure. He wondered what she'd look like if he loosened her auburn hair that was pulled tightly into a bun. She was a beauty, all right. A slight man dressed appropriately for a doctor, or an undertaker, rubbed his brown handlebar mustache while he mulled over Cole's condition. "His color's much better, Daisy, don't you think?" "I'll go tell Dad that he won't have to rush over here for the marshal's last prayers." She pulled on her gloves and tossed a cloak over her shoulders. Damn, a preacher's daughter. What a waste of womanly flesh. "Look for him at your Aunt Grace's house," the doctor advised. "When I picked up the wire telling us the new marshal was riding in, Rayburn told me that your sister had just come home. Seems like some yahoos tried to hold up her bank--put quite a scare into her, too." Daisy clapped her gloved hands to her cheeks. "Oh, no! Is Iris all right?" "She's fine," replied the doctor, "but I hear one of the would-be robbers is somewhat worse for the wear. She claims she shot one." "Oh, my!" Daisy picked up her parasol and reticule. "I'll get over there right away. She may need me!" Cole's throat tightened as Daisy hurried to the door. She'd put two and two together as soon as she talked to her sister. "God works in wonderful ways," she exclaimed triumphantly as she unlatched the door. "It's a miracle that our new marshal showed up when he did." She swept out of the room like a queen. Stay calm and think. So Daisy's sister was the woman who'd shot him. What lousy luck. He had to get the hell out of here. Especially since Miss Daisy thought he was the town's new marshal. Thank you, Jacquie. We've had a great time with you. Labels: Jacquie Rogers. Much Ado About Marshals. Western Romance. Humor. Light-Hearted Romance. Marshals. 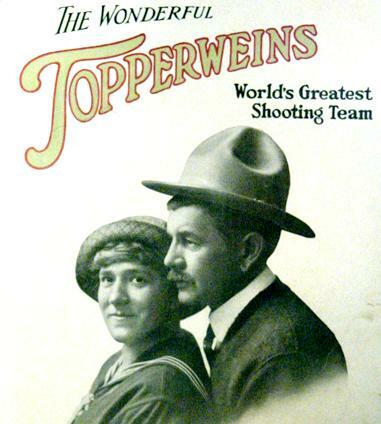 Renowned Texas trick-shooter Adolph Toepperwein (1869-1962) loved rifles as a kid and toured the vaudeville circuit until 1901, when he began a fifty-year gig as an exhibition shooter with the Winchester Repeating Arms Company. During her training, she shot at tin cans with a .22, and after several tries, made her first hit. “I plinked it,” she declared, referring to the distinctive sound. And forever after she was known as Plinky. 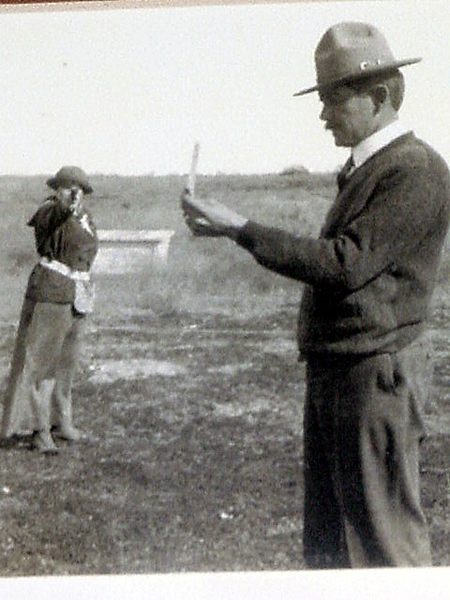 Within three weeks of her first lesson, Plinky joined her hubby’s act, shooting one-inch pieces of chalk from between his fingers, and empty shells off his fingertips. 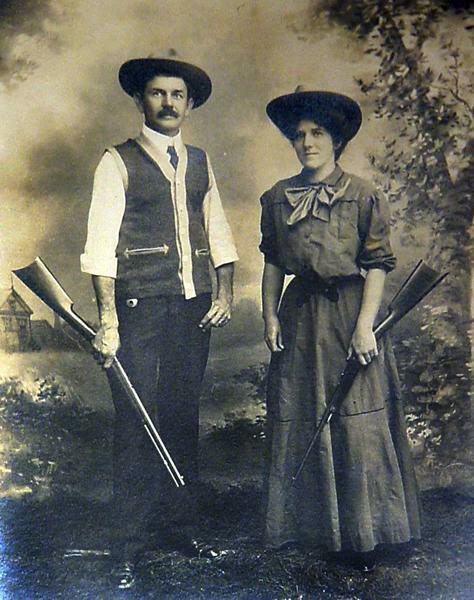 They began touring as a husband and wife trick-shooting team in a career that spanned 40 years. 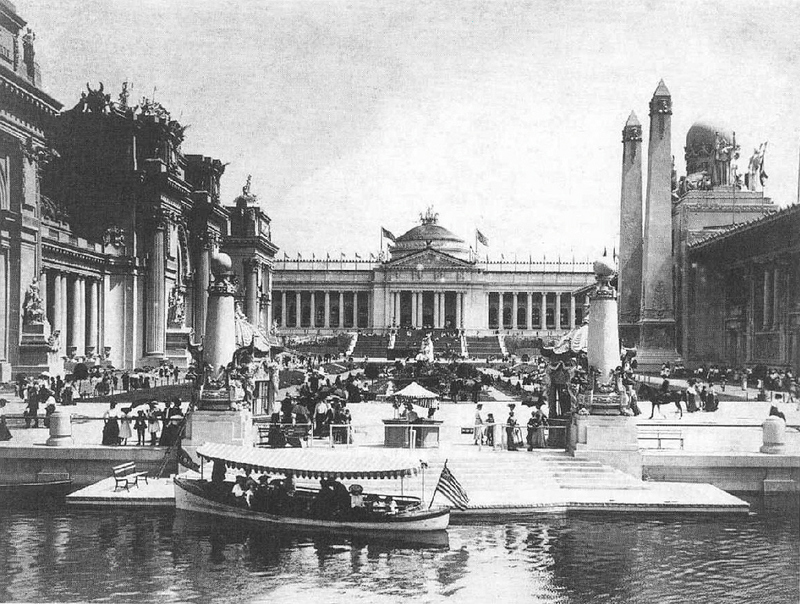 At the 1904 World’s Fair in St. Louis, they set one amazing record after another. They shot while standing o their heads and while lying on their backs. They broke two targets at the same time, one in front and one behind using a mirror. Plinky’s aerial targets included metal disks, apples, oranges, eggs…and glass marbles. 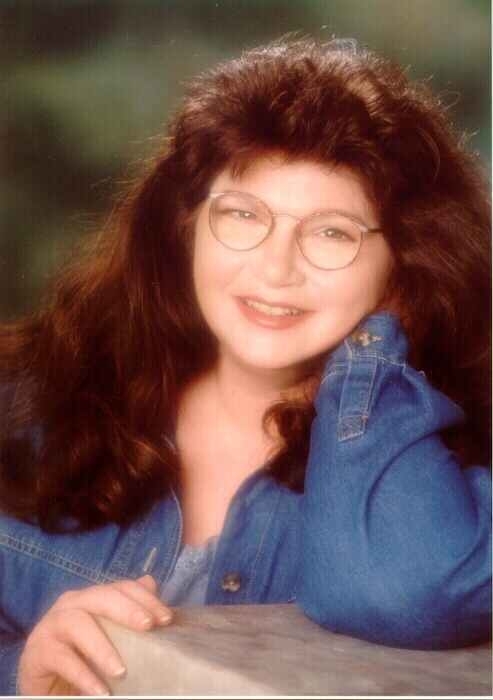 World-famous shooter Annie Oakley, a member of the Trapshooting Hall of Fame, once said to Plinky: “Mrs. Top…you’re the great shot I’ve ever seen.” In 1969, Plinky was inducted into the Trapshooting Hall of Fame in Vandalia, Ohio. 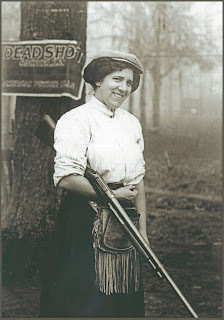 Although trapshooting was her main focus, Plinky was equally skilled with rifle, pistol and shot gun. 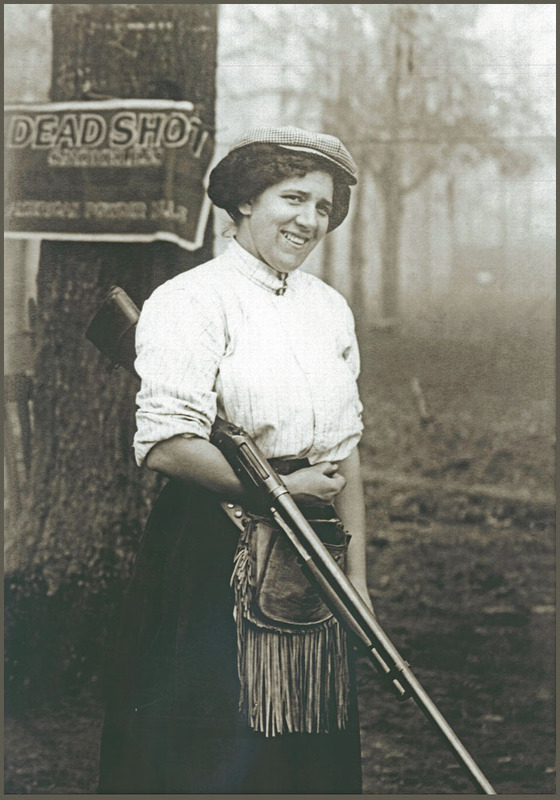 She became the first woman in United States history to quality as a national marksman with a military rifle. Amidst all this, Plinky gave birth to and raised son Lawrence, who sadly predeceased her in 1940 when he was only 36. While folks in the know informally believe that Plinky was a better all-around shot than her husband, they never held a contest to see. And despite her amazing talent, Plinky was proud to claim she never shot an animal. She passed away in her San Antonio home on January 27, 1945, her husband at her side. After Ad’s death in 1962, their lifetime of marksmanship memorabilia went on display on the grounds of The Long Star Brewery in San Antonio. In late 1998, the gallery was moved to the Buckhorn Saloon and Texas Ranger Museum a few blocks from the Alamo, which is how and where I “met” this remarkable couple on my first-ever foray to Texas not long ago. I hope you enjoyed meeting her today! And I especially thank the Sweethearts for inviting me to join their corral! Coming soon, Book Four of my Hearts Crossing Ranch series. I'll draw a name today for a pdf. copy of Book One, Hearts Crossing Ranch, for everybody who comments and leaves an e-mail address..
Few weeks ago, I got a new book “Savvy Sayin’s: True Wisdom form The Real West” collected by Ken Alstad. The back blurb says: Ken worked as an Arizona farm and ranch reporter, became vice-president of Leo Burnett Advertising and, as a researcher of frontier lore, spent 20 years collecting Old West witticisms. This is the books 14th printing, reflecting the sayings’ enduring relevance. I thought I’d share a few of his sayin’s with you. · Silence can be a speech. · A cowboy who says he ain’t never been thrown is a liar. · Wild oats make a mighty poor breakfast. · Sleepin’ late keeps a fellow huntin’ his horses. · Life is one man getting’ hugged for sneakin’ a kiss and another getting’ slapped. · You can educate a fool, but you can’t make him think. · When a territory gets full of family men and empty of game, it’s time to move on or get married. · Careful is a naked man climbin’ a bobwire fence. I really haven’t had time to read the book, including the 4 page introduction. The book is about 95 pages long, and probably averages 7-10 quotes on each page. Woodcutting illustrations by Fredric Remington and Charles M. Russell are included throughout the book, so the number of quotes per page varies, but needless to say, there are a LOT of saysin’s. Do you have a favorite Western Sayin’? On my own blog today, I’m offering up an Old West recipe: Stack Cake….come by and see what that means and when they were often served. "Do Not Give up Your Father's Home." Caroline Clemmons and Celia Yeary, owners. Powered by Blogger.